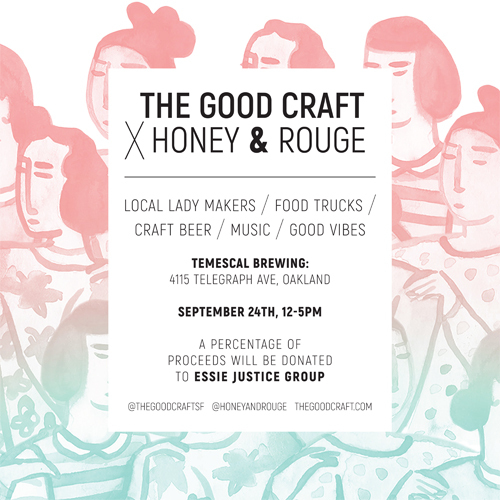 Excited to announce that I'll be selling my wares at The Good Craft's first all women artists' pop-up market at Temescal Brewing! into one where women are heard and not simply objectified. whose mission is to harness the collective power of women with incarcerated loved ones to empower one another and end mass incarceration. They are building a loving and powerful network to equip women with the tools and resources to heal family, community, and make social change.